The train station there is about a 20-minute walk outside of town with the first half taking you through the vineyards that make St.-Émilion famous around the world and the second half on cobblestone streets passing between limestone buildings, some dating from the 12th century, that keep the visitors returning year after year. Much of the town sits on a labyrinth of tunnels from which the stones were mined for not only the structures above but as far away as England which makes sense given that the Crown in London claimed this area of France in 1154. You can take a tour of part of that subterranean area to see the catacombs plus a church and a chapel but we had plenty to do above ground. We knew from the tourist bureau’s online brochure that there were 12 “inescapable” monuments that we had to see before returning to the train with one of them being right along our direct path, the lavoirs or wash houses. Although these were built in the 1800’s we’ve seen them in other French cities dating from medieval times and some still in use today. Behind there we got a view of the 32-meter high (105 feet) King’s Keep with that name being the only thing that historians seem to be able to agree on regarding this structure. 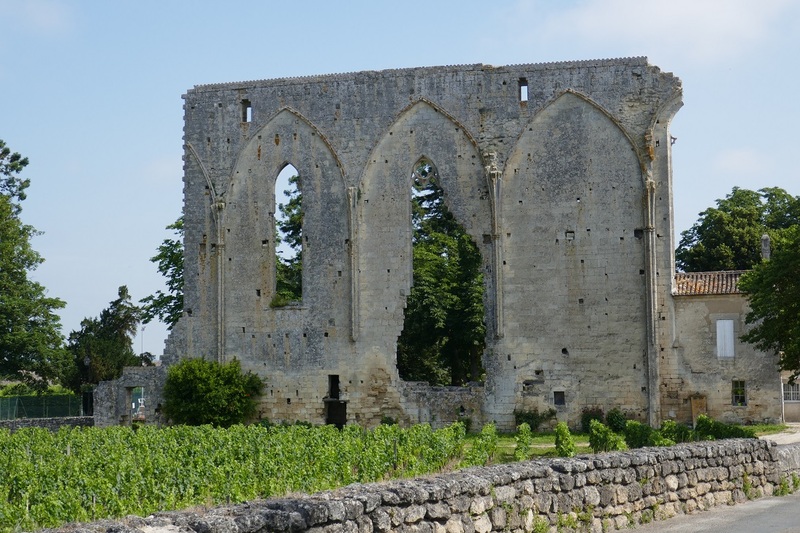 It was built early in the 1200s by the French or the English or maybe by a powerful group of winemakers ruling at the time. That group, called the Jurade, still exists today and twice a year they climb the 112 steps to the top of the tower to make proclamations regarding new wines and the grape harvest. 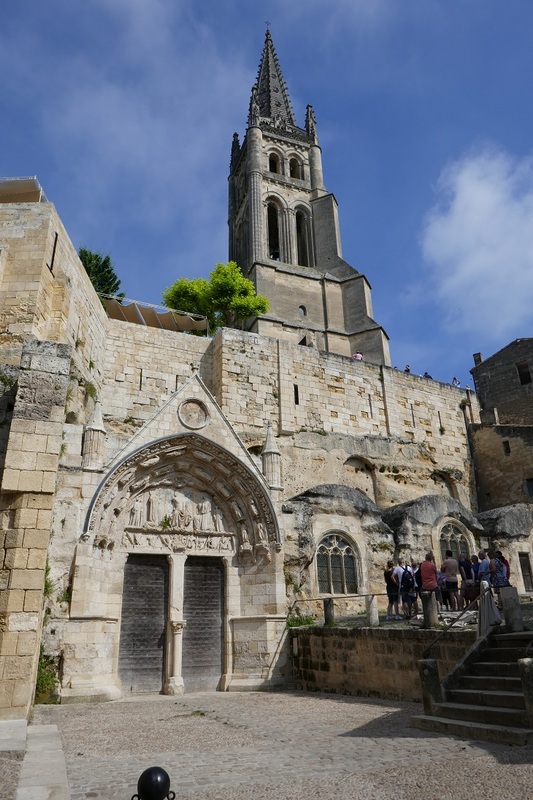 In the heart of the village, dug out of the limestone in the early 1100s, the Monolithic Church is considered a pilgrimage site for St.-Émilion, the monk who arrived in the early 8th century and started a religious community. Rising 68 meters (223 feet) above that is the bell tower that took 3 centuries to complete, beginning in the 12th, to make it the highest vantage point for miles around. We had been steadily climbing uphill since we arrived at the town limits and our next challenge was to go up the Tertres which technically translates as mound or hillock but the tourist office rightly calls them Steep Streets. The paving cobblestones all arrived as ballast in ships from England and were replaced with barrels of wine for the return to that island nation. I’m glad that it wasn’t raining the day we were there since those stones have had hundreds of years to get smooth and slippery. Now that we were on higher ground we could visit the Great Wall, a remnant of a 13th century Dominican convent that the town intentionally destroyed around 1337 to prevent potential enemies from having a strategic attacking point. Nearly in the shadow of the Great Wall are the remains of the Cardinal’s Palace, the outer wall of which formed part of the town’s defenses. Even though this was built at least 100 years before the neighboring convent, indoor plumbing is still evident by the presence of water pipes. 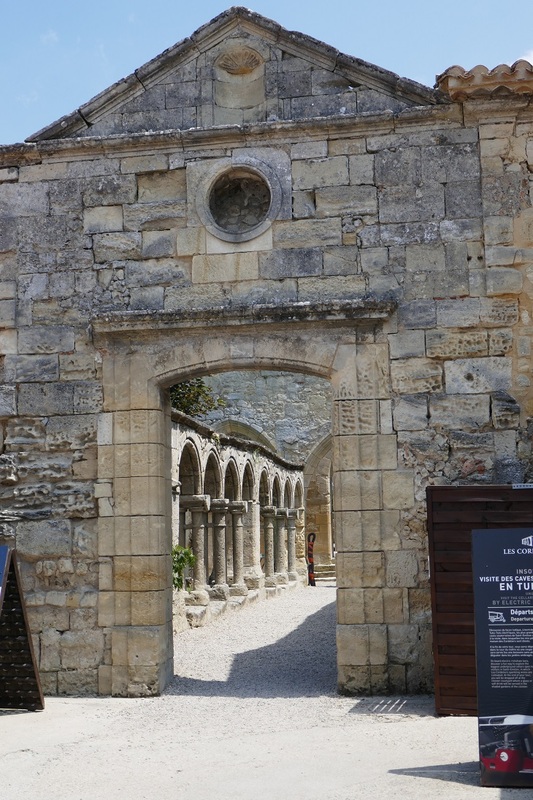 From there we passed through the Cadene Gate and its adjoining house, the only remaining 16th century timber framed structure in St.-Émilion. This was an internal gate inside the city walls thought to have been a dividing point between the general population and the clergy. In Italy, the religious order founded by St. Francis of Assisi was known as the Franciscans but in medieval France they become Cordeliers because of the cord around their waist. 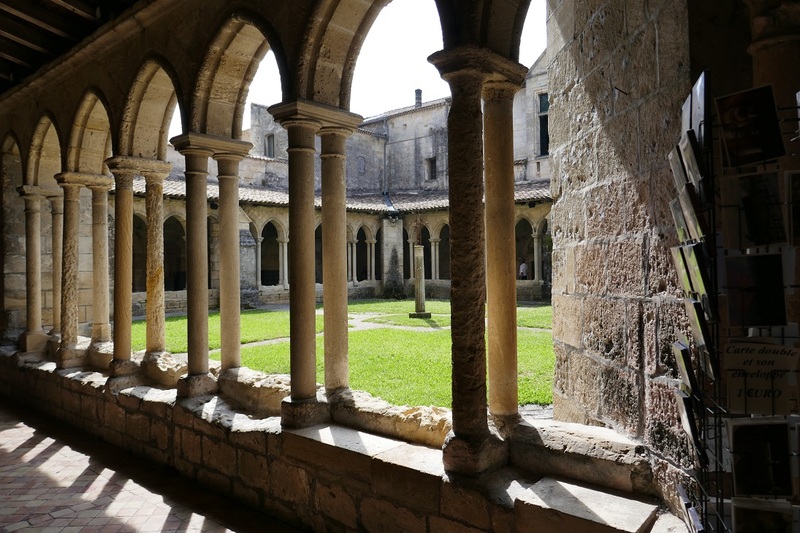 Safely within the town’s walls, including those of the Cardinal, the monks built a church, cloister, garden, and a winery that thrived until the French revolution when the property was sold as national property in 1791. 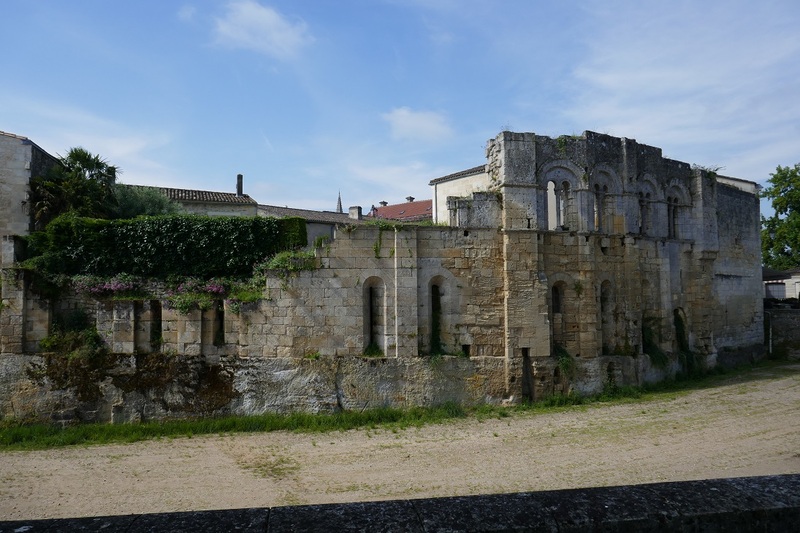 A local vintner revived a portion of that business in the late 19th century when he started using the cellars to make a sparkling wine that is still sold today in the appropriately named Cloître des Cordeliers. 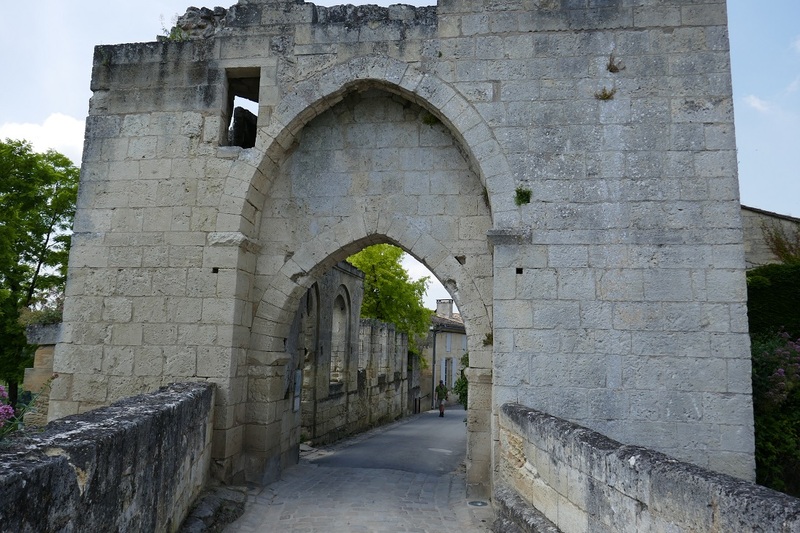 On the way out of town and back to the train station we went through the Brunet Gate flanked by its crenelated ramparts and wall walks that have been little altered since being commissioned by England in the 12th century. It was at that point that I realized we hadn’t seen all of the dozen monuments. No worries: if the wine weren’t already enough to entice us back, the charm of the town certainly is. Posted on September 9, 2018, in Life in France, Travel in France & beyond and tagged Americans in Carcassonne, Public transportation, Wine. Bookmark the permalink. 2 Comments. Good idea to go slightly out of season. I have been there several times but an August visit was a bit too busy to appreciate the town properly. Thank you Bob, for the great description of St. Émilion. 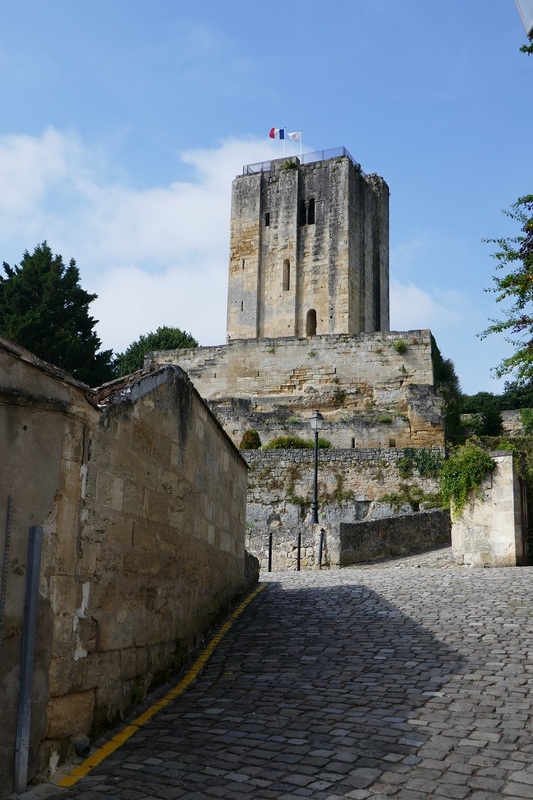 I’ve followed your blog since you dropped into (and out of) the SW France Café online group and have really enjoyed reading about your experiences since moving to Carcassonne (which I’ve been to and really enjoyed). 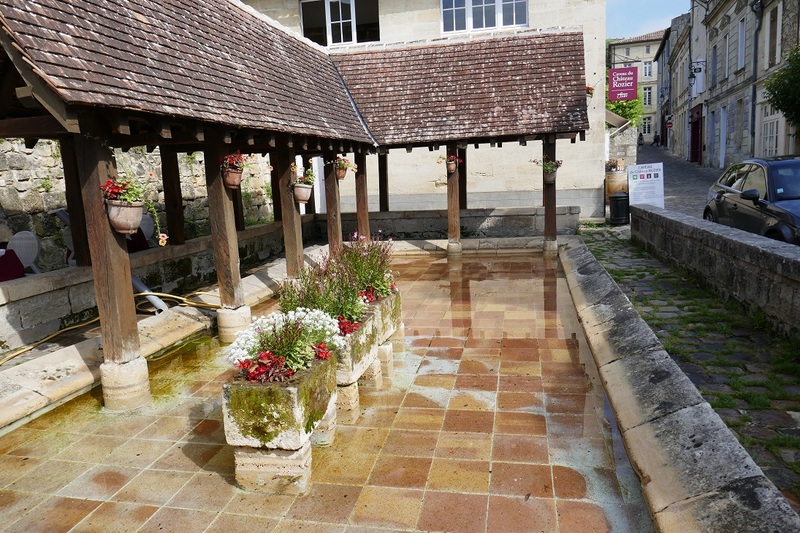 I’m trying to talk my husband into moving to France as retirees, but in the meantime spend the month of September here each year, in either Paris or the Dordogne, living the French life. 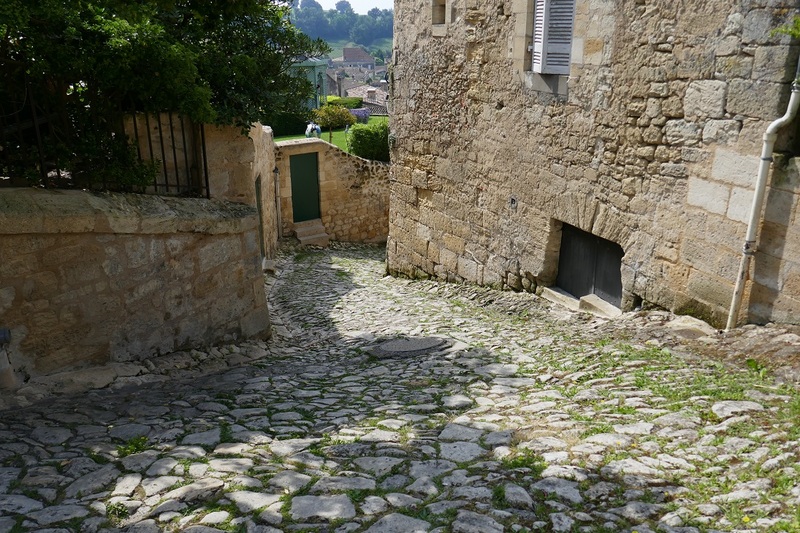 I’m heading to St. Émilion next week and shall follow your footsteps.